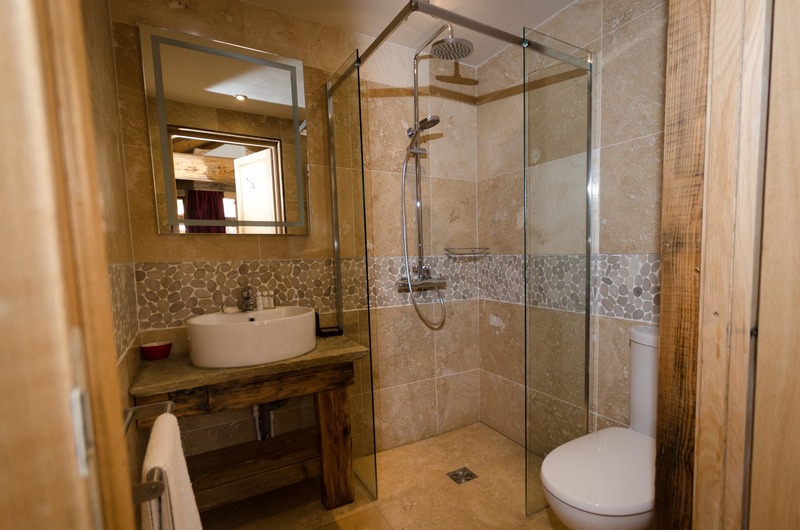 The Family Room with ensuite Shower comfortably sleeps a family of four, comprising either twin beds or super king and rustic bunk-beds. 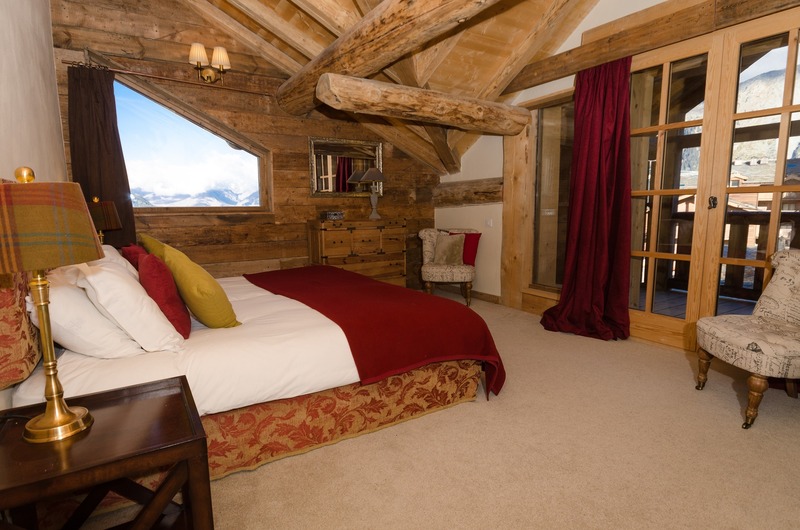 With a large balcony with spectacular views of the mountains this room has everything that a family could need for a week in the mountains. 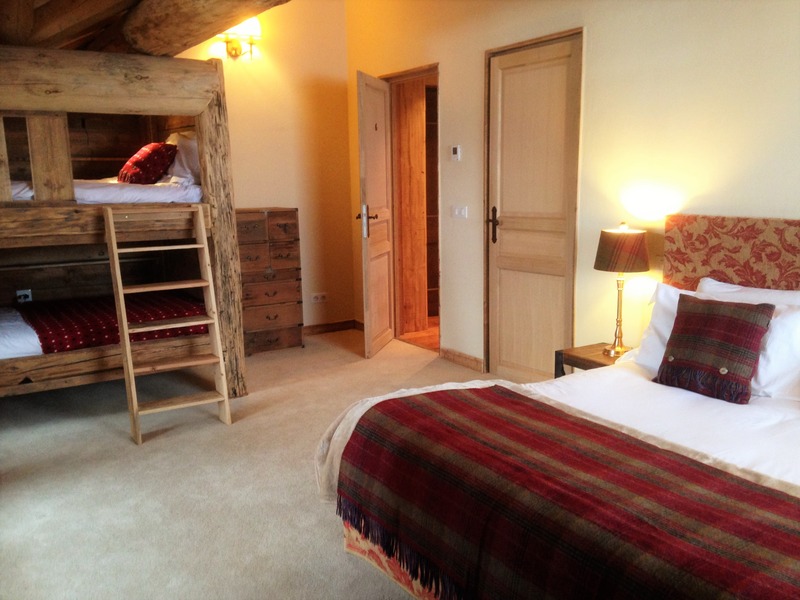 This room includes a feature rustic bunk-snug with full size single mattresses suitable for two children. 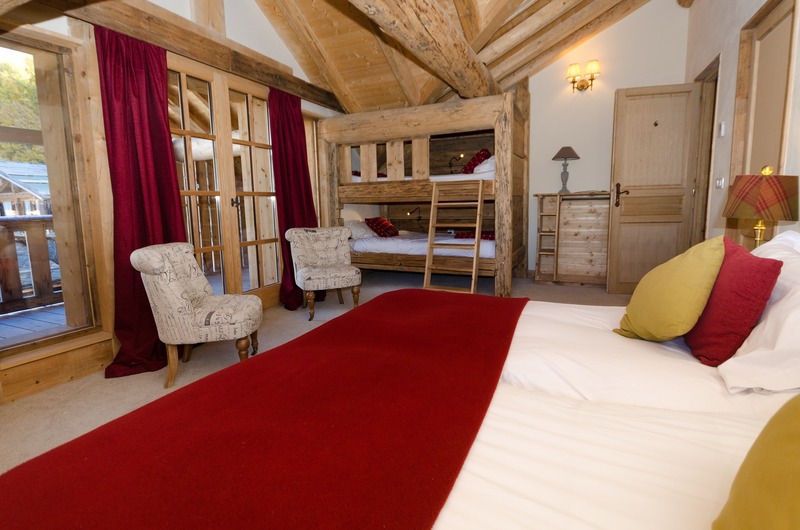 The bunk bed is beautifully built and has power sockets and a light next to each bed, allowing the children to squirrel away and relax in comfort. An additional futon for a small 3rd child can be added to the room for 30€ per night.